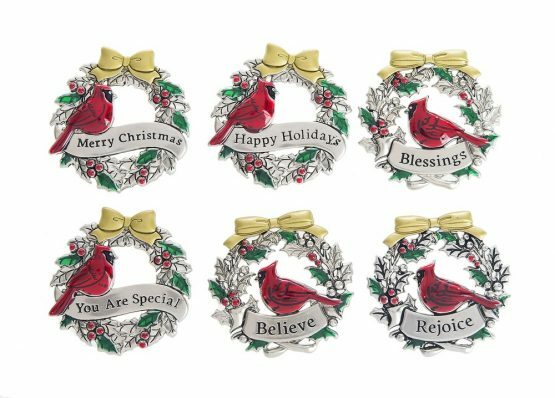 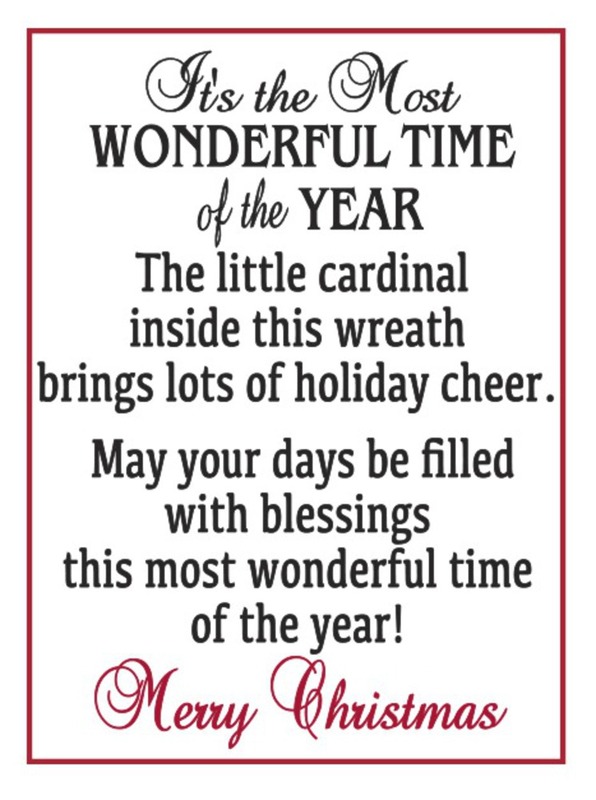 Card with message: A little cardinal inside this wreath brings lots of holiday cheer. 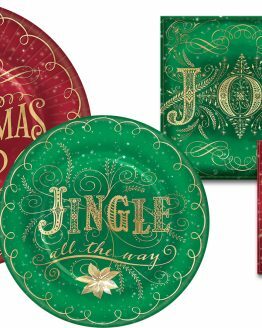 May your days be filled with blessings this most wonderful time of the year. 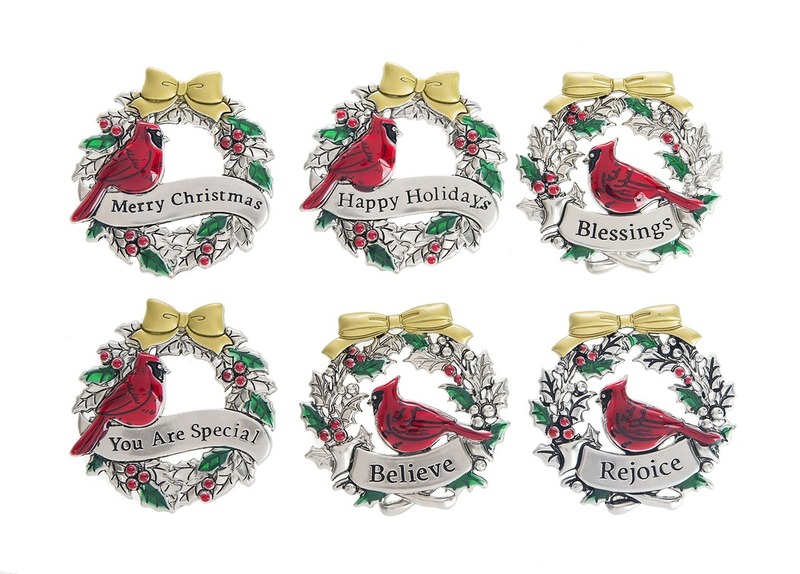 These charms may be carried in a pocket, held or placed on a shelf.